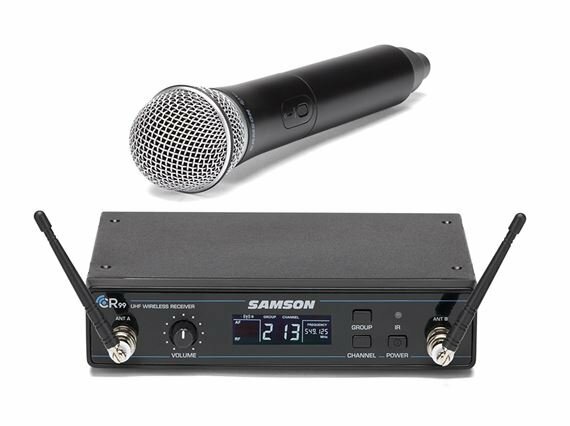 Shop Samson Concert 99 Handheld Wireless System with Q8 Capsule Channel K from AMS with 0% Interest Payment Plans and Free Shipping. In both single and multi-system arrangements, the Concert 99 Handheld features simple 1-touch setup. Combining 80 channels of high-definition audio with an all-metal rack-mountable chasis, the Concert 99 Handheld is stage ready with the backlit display. Featuring the premium Q8 vocal mic capsule, convenient monitoring, a 300' UHF operating range and impressive transmitter battery life, this frequency-agile system offers unprecedented value to singers, business professionals, educators and others in search of reliable wireless freedom. 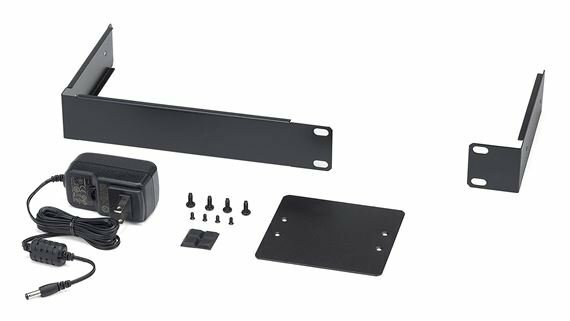 The CR99 Wireless Receiver offers 80 total operating channels allowing you to select the best frequency option for your area. 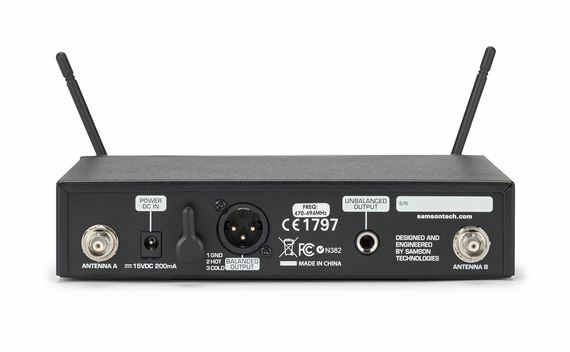 Quick to setup, the CR99's Group scan helps avoid conflicting frequencies, while its IR sync function allows users to wirelessly match the transmitter to the receiver's operating frequency.